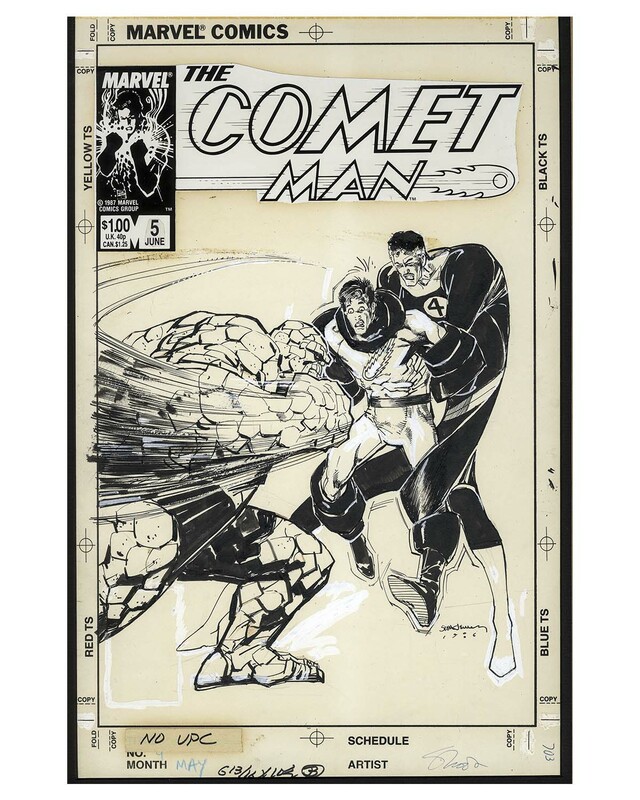 Bill Sienkiewicz original cover art for ''Comet Man #5'', the Marvel limited series created by Bill Mumy and Miguel Ferrer, from whose collection the artwork originates. Artwork is for the 5 June 1987 cover, signed and dated 1986 by Sienkiewicz. In addition to Comet Man, the cover prominently features The Thing and Mister Fantastic from ''Fantastic Four''; Comet Man would also make appearances in the Fantastic Four series over the years. 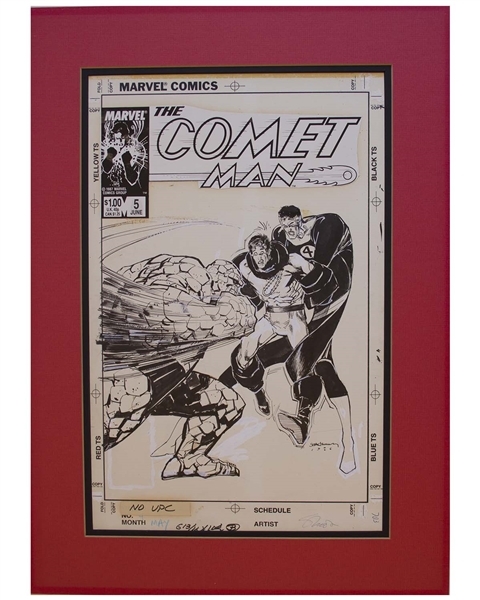 Artwork is rendered in ink on board, with white-out, and title and publication information pasted on. Measures 11'' x 17'', mounted on board measuring 15.75'' x 21.75''. Light uniform toning, overall very good condition. Auction closed on Thursday, July 26, 2018.